60 days. AAS Winner for 1999. 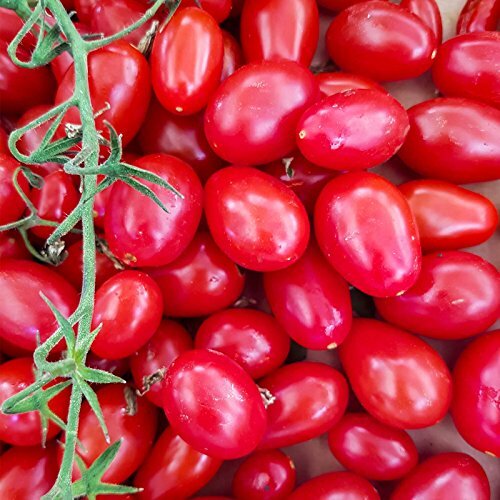 This red, 1 ounce tomato is produced in grape-like clusters on long, vigorous, indeterminate vines. The 1 to 1.5 inch long elongated fruits have a sweet flavor, attractive glossy skin, and good crack resistance. Expect high yields and quality fruit set. Extended vine holding time. Approx. 9,275 seeds/oz.